Dr. Josef J. Blanz is a principal engineer with Qualcomm’s Standards and Industry Organizations Group. He coordinates Qualcomm’s participation in M2M and IoT related standards and industry fora, conducts related internal design work and serves as an interface to business development, product management and engineering teams. From 1990 through 1993 Josef worked on design and implementations of physical layer algorithms for mobile radio systems in custom-designed integrated circuits at the Centre for Microelectronics at the University of Kaiserslautern, Germany. In 1993 he joined the Research Group for RF Communications at the University of Kaiserslautern where he investigated baseband processing techniques in multi-antenna receivers for 3rd Generation mobile radio systems. 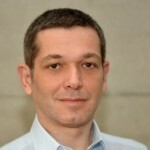 Josef joined Qualcomm Inc. in 1998 focusing initially on smart antenna processing for CDMA base stations. From 1999 to 2009 Josef participated in 3GPP as Qualcomm’s lead on radio and baseband performance requirements. During that phase, he lead a number of internal R&D projects with main focus on HSPA physical layer enhancements, such as MIMO for HSDPA. In 2009 he started to coordinate Qualcomm’s activities in M2M and IoT standards and industry organizations with technical focus on M2M service layers. Josef was actively involved in the creation of the global initiative oneM2M and serves as Qualcomm’s lead in oneM2M. Overall, Josef looks back at more than 20 years of experience in communication systems design and more than 15 years of experience in standardization. Josef holds a Master’s degree (Dipl-Ing.) and a Ph.D. degree (Dr-Ing.) in electrical engineering, both from Technical University of Kaiserslautern, Germany.